Sweeney Entertainments brings a fantastic new show to venues across the UK, featuring the very best of George, Andrew, Pepsi and Shirlie � The Best of Wham! Sweeney Entertainments brings a fantastic new show to venues across the UK, featuring the very best of George, Andrew, Pepsi and Shirlie - The Best of Wham! With sensational vocals, choreography, costumes and an awesome live band, The Best of WHAM! is an authentic musical journey that truly recaptures the full WHAM! experience. This non-stop 80s party will get audiences singing and dancing to all the greatest hits including 'Wake Me Up Before You Go Go', 'Freedom' and 'Im your Man'. Sweeney Entertainments, co-founded by Julie and Peter Sweeney, has been providing a wide repertoire of top quality touring shows for theatre and corporate events for over fifteen years both in the UK and internationally. 2017 was the company's strongest year to date with more shows touring than ever before and 2018 brings even more new shows and UK tour dates. 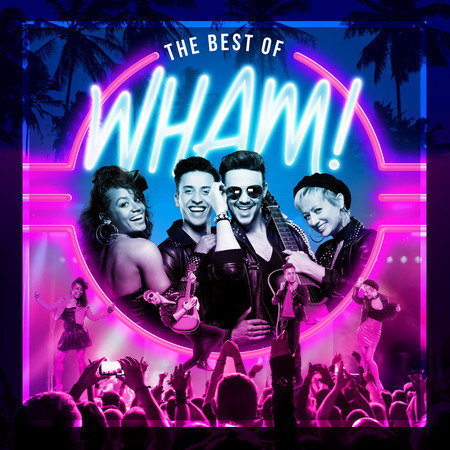 DISCUSSION - SWEENEY ENTERTAINMENTS PRESENTS THE BEST OF WHAM!